The 10th Human Rights Arts & Film Festival (HRAFF) is thrilled to announce its Opening Night event – The Australian premiere of Hollie Fifer’s controversial documentary The Opposition. The film will screen in Melbourne on Thursday 4 May and go on to screen in Canberra and Brisbane. Steeped in legal disputes designed to block its release, The Opposition details the struggle of 3,000 residents of the Paga Hill community in Papua New Guinea, who watched helplessly as police bulldozed their homes to make way for a luxury resort. Two community leaders rose to help, but were driven down different paths when faced with a choice – keep fighting for justice or join the enemy. This gripping documentary is Australian director Hollie Fifer’s debut feature. It grapples with a subject so inflammatory that it prompted one subject to file an injunction against the film’s release. "Some stories pick you. This was one of those. The first time I met the Paga Hill community was on my second day in Papua New Guinea when they were dealing with a violent forced eviction - an egregious human rights abuse. 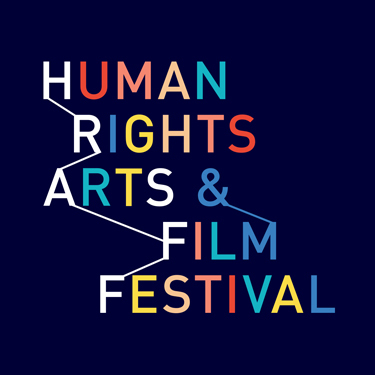 We've been making the film together over five year and I’m so honoured this film will play in my home city of Melbourne at HRAFF - a leading human rights festival," says Fifer. "We are absolutely delighted to be holding the Australian Premiere of The Opposition to open our milestone 10th Anniversary festival. We're so proud to be supporting emerging Australian filmmaking talent and this impressive feature film debut from director Hollie Fifer is not to be missed,' says the Festival’s Program Director, Lauren Valmadre. The Opposition screens Thursday 4 May 6.30pm at ACMI Cinemas in Melbourne with an introduction by director Hollie Fifer and protagonist Joe Moses. Opening Night celebrations continue downstairs in ACMI’s Lightwell with entertainment by musicians Onur and Emral from Festival event Key of Sea (Sat 13 May at Footscray Community Arts Centre). The Opposition also screens in Canberra on 29 May at Palace Electric and Brisbane on 1 June at Palace Barracks. HRAFF’s Opening Night is proudly presented by Bank Australia.